he objectives of these seminars are to raise awareness of Iran’s environmental challenges in a regional context; to create an academic and policy network for collaborative work over these problems; to create a forum for discussing and exchanging ideas and seeking solutions; and to encourage best practice in formulating and implementing sustainable environmental policies in national and regional contexts. These seminars will build on the international symposium on the challenges facing Iran’s natural heritage sponsored and coordinated by the Soudavar Memorial Foundation in partnership with Iran Heritage Foundation (IHF), the Persian Wildlife Foundation (PWF) and in association with the London Middle East Institute (SOAS), the International Institute for Environment and Development (IIED), I.B.Tauris Publishers and the Persian Wildlife Heritage Foundation (PWHF). It further complements Iran Heritage Foundation and SOAS’ Visiting Fellowship programme in ‘Iran’s Environmental Sustainability’, also inaugurated in 2014. Despite having a more advanced water management system than most Middle Eastern countries, similar to the other countries in the region, Iran is experiencing a serious water crisis. This presentation reviews the current status of water resources in Iran and recognizes three major causes for the current water crisis: (1) rapid population growth and inappropriate spatial population distribution; (2) inefficient agriculture sector; and (3) mismanagement and thirst for development. 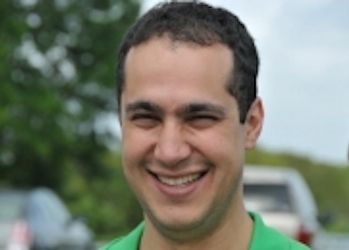 Dr Kaveh Madani is an Environmental Management Lecturer at the Centre for Environmental Policy of the Imperial College London. Prior to this he was an assistant professor of Civil, Environmental, and Construction Engineering and an Alex Alexander Fellow at the University of Central Florida (UCF), where he founded and directed the Hydro-Environmental & Energy Systems Analysis (HEESA) Research Group and served as the faculty advisor of the Engineers without Borders (EWB) and American Water Resources Association (ARWA) student chapters. Madani is an Associate Editor of the Journal of Water Resources Planning and Management and has been recently selected as one of the ten “New Faces of Civil Engineering in 2012” by the American Society of Civil Engineers (ASCE). This presentation is based on Madani’s recent publication in the Middle East Water Security Forum of the Journal of Environmental Studies and Sciences, entitled Water management in Iran: what is causing the looming crisis? October 2015 – The Soudavar Memorial Foundation congratulates Dr. Kaveh Madani for having being chosen by the European Geosciences Union as one of the recipients of the 2016 Arne Richter Award for Outstanding Young Scientists. We are proud of the participation of this outstanding young Iranian scientist in our environmental projects. The grandeur of the Persian Empire was in its ability to create civilisation in the driest area of the world. The oasis cities of the arid plateaus were built through an infrastructure called the qanat: an underground canalisation system that subsisted during 3000 years without any technological evolution until it was abandoned at the wake of modernisation in 1960. Today in a state of semi-abandonment, the network continues to carry water, though considered archaic and obsolete by the majority of the population. At a time of looming water crisis in Iran, HydroCity investigates how the revival of this infrastructure can be used as an alternative water source, and as a means to create an urban palimpsest. Retracing memory, the invisible network has the ability to restructure the landscape after decades of mass urbanisation. Sara Kamalvand is an Iranian-Canadian architect and urbanist, graduate of Ecole Spéciale d’Architecture, Paris. 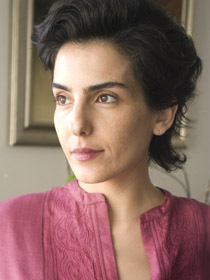 In 2006 she published Tehran 2050, an award-winning thesis on how to rethink the Persian capital through its watershed. She is director of HydroCity, an international research and design platform on urbanism, water and cities. HydroCity engages with universities, municipalities, and private organisations through projects, workshops, exhibitions, and publications, leading research on cities as a campaign to bring ecological awareness and to produce visionary proposals for real time opportunities and challenges. The Soudavar Memorial Foundation looks forward to helping Sara Kamalvand with the launch of her project for the Tehran Filtering Garden Festival in 2017. This is a project for the capital’s abandoned qanats based on her previous work on the qanats of Yazd. Soil is the bedrock of the ecosystem and provides an environment in which humans can thrive. However, despite increasing attention to environmental challenges in recent years, the functions and critical role of soil in environmental sustainability have not received due attention. In Iran, like in many other countries, soil is under threat by a combination of mismanagement and changing natural conditions. Soil pollution, erosion (loss of top soil because of water flow or wind) and salinisation (increase in the salt content of soil) are three problems that have put Iran’s environmental sustainability at risk. 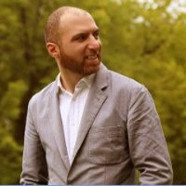 In this talk Hamid Pouran, Iran Heritage Foundation Visiting Fellow in Iran’s Environmental Sustainability, investigates the current status of soil quality in Iran. With a focus on soil pollution he explains how contaminated soils can endanger the entire food chain and briefly examines how soil erosion and salinity currently affect Iran’s agriculture. Dr Hamid Pouran is the Iran Heritage Foundation Visiting Fellow in Iran’s Environmental Sustainability at SOAS. He was part of Transatlantic Imitative for Nanotechnology and the Environment (TINE), a top international scientific consortium of UK and US universities to better understand fate and behavior of nanomaterials in the environment. 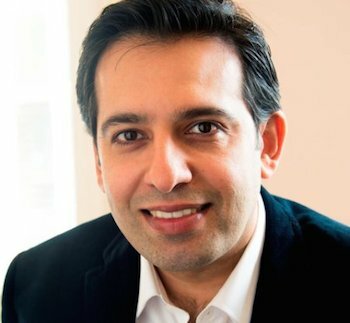 His research is focused on developing new techniques to measure available concentrations of nanomaterials in the environment. Professor James Hitchmough is the Head of the largest Landscape Architecture unit in the UK, and also the leading research school. James research has been centred around developing novel approaches to public planting design, that allow for the creation of rich experiences for urban people, and habitat opportunities for native biodiversity, but at the same time, be established and managed at low levels of finance, energy and other diminishing resources. 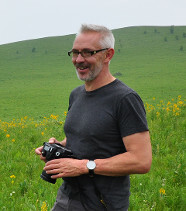 To achieve this goal he has integrated perspectives from contemporary ecological science with design and management processes, and developed quantitative understanding through environmental psychology research as to what people might think of the resulting designed landscapes. The practical core of this work has been to develop an extensive peer reviewed scientific literature as to how designed plant communities function in ecological terms, and in particular in terms of what is know as “aut-ecology”; the ecology of the individual organisms that make up communities. These understandings are largely derived from complex, long term, community ecology field experiments. In order to create large scale areas of plantings at low cost, which can then be sustainably managed, he has developed techniques to create spatially and taxonomically complex meadow-like vegetation by sowing seed in situ. His first commercial projects commenced in 2000 and culminated (from a media perspective) in his design (in conjunction with his Sheffield colleague Professor Nigel Dunnett) of the herbaceous skin that covered more than 20 ha of the London Olympic Park. Through the application of cross disciplinary perspectives his work is intended to shift paradigms as to the very nature of what urban planting might be in the C21st in a time of climate change, sustainability and biodiversity. At the core of this however is the need to create experiences that are at some point in time and space; extraordinary, uplifting and meaningful. A vital source of inspiration for how to design opportunity for these experiences has been to travel extensively to study the world’s most visually extraordinary temperate, herbaceous vegetation. Life has continued post the Olympics with planting design commissions from the relatively small (i.e. less than 2000m2, such as the acclaimed installation at the Oxford Botanic Garden, and the new Drakensberg Meadow at RHS Wisley, through to the very large (>10ha), as in the case of the Big Sky Meadow Project at RHS Hyde Hall. Other projects are currently in train in Copenhagen, San Sebastian (Spain), Memphis, Western and North Eastern China. James is currently writing a book on his research into practice, to be published in 2016. Water is among the most prominent needs for man and ecosystem. Apart from impacts on environmental sustainability, historical evidences suggest that increasing and decreasing water availability can be even associated with rise and fall of civilizations. Today multiple drivers of the “Anthropocene”, most importantly population growth, warming climate and environmental degradation have substantially changed the notion of “normal” for both water availability and water demand in time and space. This can result in various vulnerabilities and endangers water, food, energy and environmental security across various scales. As a result of these severe threats, an emerging scientific agenda has been shaped around addressing the causal interactions within the so-called human-water system. This coupled system is linking natural and anthropogenic drivers of the water cycle into an integrated system and is inherently complex. In addition, understanding future behaviors of human-water systems under local, regional and global sources of change involves deep uncertainty. By providing some real-world examples, this talk aims at highlighting various gaps in understanding human-water systems under both current and future conditions. Accordingly, some recent developments are introduced, which can be used towards addressing regional water security in the most vulnerable parts of the globe, including Iran.